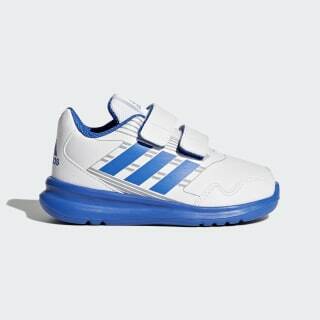 Flexible and supportive shoes for little ones on the move. Pint-size feet take lots of steps to get where they're going. Make sure their shoes respond to each and every step with comfort and support. These infants' shoes have a super-soft, flexible outsole and a durable, light upper. Strap closures make for easy on-and-off.